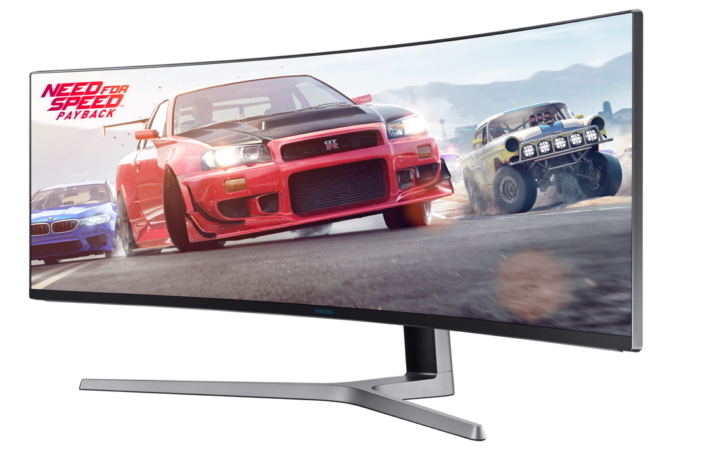 Samsung Electronics today introduced the future of gaming with the unveiling of its new CHG90 and CHG70 curved monitors, which feature the powerful High Dynamic Range (HDR) picture enhancement technology typically reserved for televisions. When combined with the CHG90’s ultra-wide design and the CHG70’s quantum dot composition, this HDR integration produces a realistic, detailed picture that showcases games exactly as developers intended, and dramatically improves gameplay with crisper colors and sharper contrast. 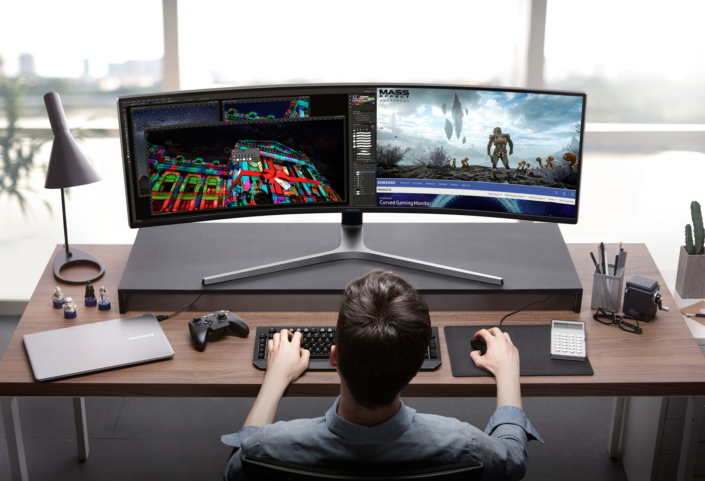 Samsung’s CHG90 sets the new visual standard for gaming displays by projecting a 32:9 aspect ratio and 3,840×1,080 double full HD (DFHD) resolution across a 49-inch screen. 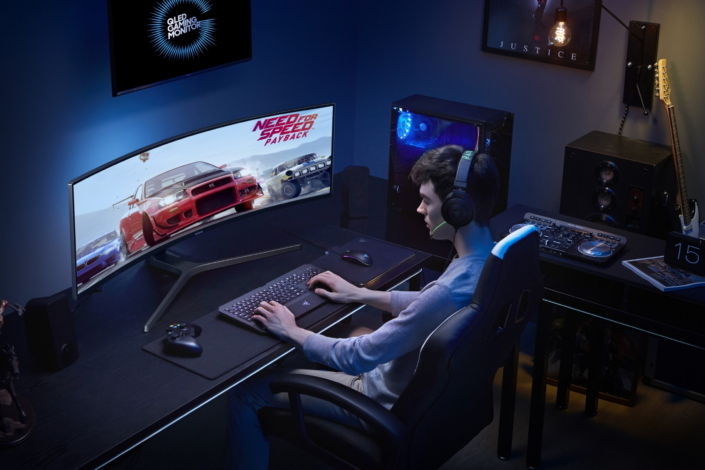 The CHG90 literally extends the playing field for gamers, with its broad design surpassing industry standards while simultaneously representing the widest monitor in the company’s gaming portfolio. The monitor delivers stunning 1,800R curvature and an ultra-wide 178-degree viewing angle, maintaining content visibility from any location within a given space. As a result, gamers no longer have to worry about the logistics, expenses and central bezel interference that occur when combining multiple smaller monitors together for an expanded view. Ideal for first-person shooting, racing, flight simulation and action-heavy games, the CHG90 aligns an accelerated refresh rate (144Hz) and 1ms motion picture response time (MPRT) with advanced, four-channel scanning technology to deter motion blur and produce a more consistent picture across the entire screen. 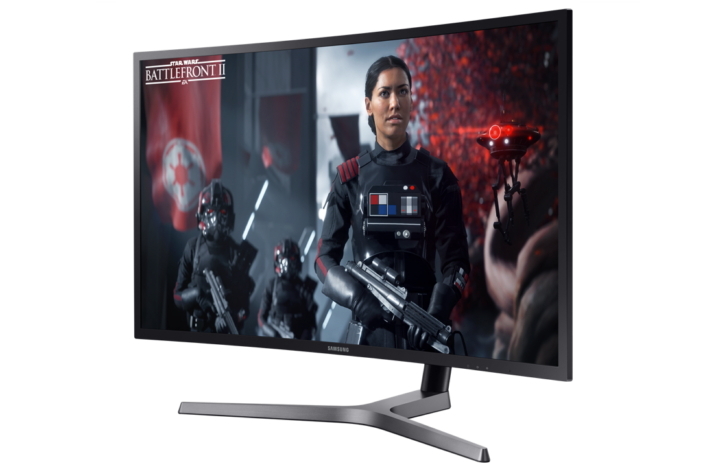 “We’re delighted to work closely with Samsung’s monitor team to optimize the CHG90 and CHG70 monitors for our games, which is vital so that our new game title “Star Wars™ Battlefront II™” which will be released later in the year can be mirrored on these HDR monitors the way our game developers intended” said Oskar Gabrielson, General Manager of DICE. “Here at Ghost Games, we always look at the latest technology that helps present Need for Speed™ in the best way possible and constantly look to push the boundaries. Technologies like HDR enable us to deliver an ever-greater emotional and immersive experience for our players. Samsung’s HDR monitors allow Need for Speed™ Payback to be exactly that” said Marcus Nilsson, Executive Producer at Ghost Games. Electronic Arts (NASDAQ: EA) is a global leader in digital interactive entertainment. The Company delivers games, content and online services for Internet-connected consoles, personal computers, mobile phones and tablets. EA has more than 300 million registered players around the world. In fiscal year 2017, EA posted GAAP net revenue of $4.8 billion. Headquartered in Redwood City, California, EA is recognized for a portfolio of critically acclaimed, high-quality blockbuster brands such as The Sims™, Madden NFL, EA SPORTS™ FIFA, Battlefield™, Need for Speed™, Dragon Age™ and Plants vs. Zombies™. More information about EA is available at www.ea.com/news. EA SPORTS, Origin, Need for Speed, The Sims, Dragon Age, Plants vs. Zombies, Battlefield,are trademarks of Electronic Arts Inc. and its subsidiaries. John Madden, NFL, UFC and FIFA are the property of their respective owners and used with permission.